MADE-BY has announced the publication of results from the second year of MODE Tracker, the fashion industry’s unique tool to independently verify brand and retailer’s sustainability efforts. The performance of four pioneering brands was released last year and this year we welcome two additional pioneers. G-Star, Haikure, Ted Baker and VIVOBAREFOOT are joined by Just Brands and WE Fashion in publicly committing to transparently disclose their efforts towards improving their sustainability. The benefit of the tool is that fashion companies’ sustainability performances are independently verified, assessed and published in a consumer-friendly manner and are based on a common standard. Sabine Ritter, Chief Executive Officer of MADE-BY stated, “We commend our MODE Tracker brands for leading the way in transparent and verified communication on their sustainability efforts and achievements. I hope our MODE Tracker tool and these latest brand results will encourage more brands and retailers in the industry to adopt such an open and honest dialogue on their sustainability progress”. 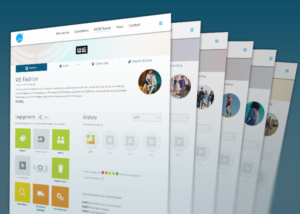 The progress made by individual brands is highlighted in improved scores across a number of ‘cube’ topics including the mandatory People and Product cubes. Progress has also been made regarding the breadth of communication, with brands collectively publishing 27 cubes, compared to 17 last year. Hey Buddy!, I found this information for you: "MODE Tracker brands publish sustainability progress in second round of results". Here is the website link: https://www.duurzaam-ondernemen.nl/mode-tracker-brands-publish-sustainability-progress-second-round-results/. Thank you.